Josué Rivas. Last Stand at Oceti. 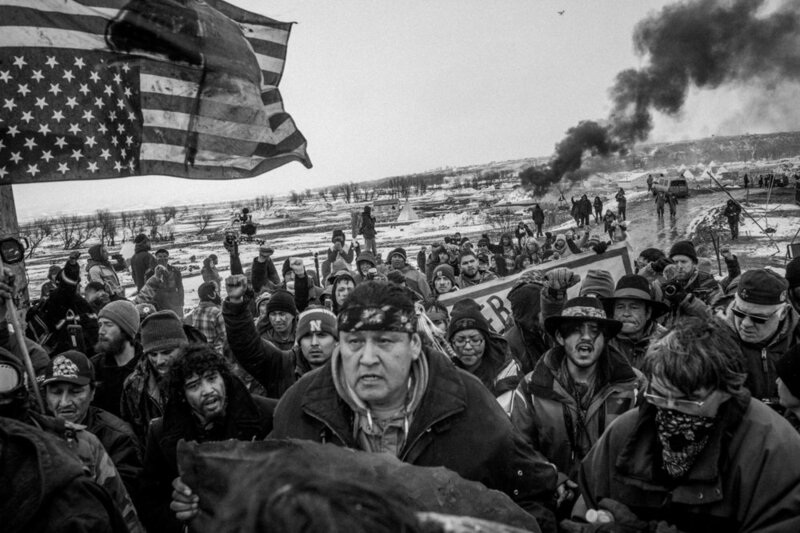 Oceti Sakowin Camp, 2017. From what began as a summer intensive, the Photography and Social Justice Fellowship has grown into an extended training and mentorship program. Over the course of nine months, each Fellow will work on a long-term project in their home country, while receiving ongoing project development feedback and production support. Just as important as the coursework they complete is the network of mutual support and shared learning the participants offer one another. This year’s fellows will join a community of our 28 former fellows from nineteen different countries. For the first time, the program will include two US-based fellows among the international group of participating photographers. In addition to creativity and experimentation, the laboratories will emphasize preparedness. With visiting experts such as Bruce Shapiro of the Dart Center for Journalism and Trauma, Susan McGregor of the Tow Center for Digital Journalism, Rachel Falcone of Storyline, and Barbara Gray of CUNY’s Research Center, the fellows will participate in trainings on digital security and dealing with trauma in the field. Extensive training in purposeful and ethical practice is at the core of the program. Fellows will participate in a session in which they are led through an exercise to create their own ethical guidelines that take into consideration factors such as the cultural context in which they are working, different modes of practice, and where the work will be seen. These guidelines will draw on an analysis of existing codes and literature on ethical practice, as well as discussion of sample projects that highlight the complexities and critiques of photographing vulnerable subjects. Advisor and instructor Fred Ritchin will guide fellows in a series of readings and critical dialogues about creative uses of documentary imagery and invite visiting practitioners to share their work and processes. Bob Sacha will lead a course called Learning Multimedia for fellows to gain a greater understanding of how sound relates to modern visual journalism and experience in the tools and strategies for using audio. Other advisors to the program will be members of the Magnum Foundation team, photographer and Magnum Foundation board president Susan Meiselas, and Andrew L. Mendelson, Associate Dean and Professor at the CUNY Graduate School of Journalism. The fellows will have the opportunity to meet with international editors, organizations, and galleries, such as TIME, Human Rights Watch, and Steven Kasher Gallery. The program makes active use of the city as a resource for short assignments and shooting exercises as well as network-building. Fellows will arrive this week and upon returning to their home countries, will work for six months on their projects with ongoing group check-ins and video conferencing with their mentors before returning in January to finalize and present their projects. Elias Williams. St. Albans Lady Trojans before practice at St. Albans memorial park.